Think you need an hour to get an effective workout? Think again! These 4 routines will push your lungs and muscles harder every minute. The good news: After 20 minutes, you'll be done! Time is the ultimate hurdle, and the ultimate excuse—if you let it be. Sure, life gets busy— a jam-packed schedule can derail even the best organizers among us. The lucky few may be able to perform whole-life overhauls to make more room for fitness, but the rest of us don't need to cut exercise from our calendars. We just need to do more with less! Not sure how to do that? Let some of the fittest people in the industry guide you. 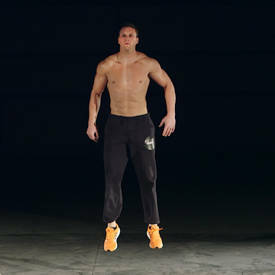 Here to share a few of their favorite and most effective 20 minutes-or-less-workouts are EAS athletes, competitors, and trainers Jason Wittrock and Annie Parker. Make no mistake; just because these workouts are short doesn't mean they're easy. In fact, these may just be the most intense workouts you do all week! Even if you aren't short on time and just want to push the intensity of your gym routine up a notch, these are great routines to keep in your back pocket. One of Parker's favorite intensity-boosting techniques is to alternate a cardio machine with bodyweight moves. The combo torches calories, but it also sends a serious "get stronger!" signal to the target body parts. "The point is to work out smarter, not longer," Parker says of these workouts. "Focus on keeping the overall intensity high, while also hitting a few different muscle areas." The best part about this particular session is that you don't need to keep your eye on multiple pieces of equipment. 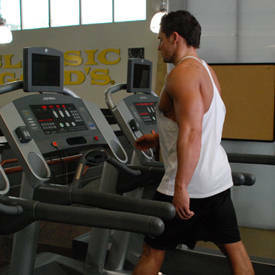 Just jump off the cardio machine of your choice after each interval to perform the bodyweight exercises. Note: This workout can be done on any cardio machine. If you're using an elliptical, bike, or rowing machine, adjust the resistance and/or speed. Parker doesn't just get her cardio on the machines; she also knows how to get it in the weight room. When she's short on time, she'll bring her jump rope with her and perform what's known as "cardio acceleration," where you keep moving rather than resting between sets of resistance exercise. "If you're doing this on a leg day, choose three lower-body exercises; if you're doing it on an upper-body day, choose three upper-body moves," she explains. "Remember that even though you are moving quickly from one exercise to the next, that doesn't mean you should neglect proper form and your mind-muscle connection." You'll be hard-pressed to hit all these reps in 20 minutes, which is kind of the point. But don't struggle so hard that technique goes out the window. Lighten the weight as much as necessary on movements like the leg press, and stop a set immediately if you feel your form slipping. Don't worry; even with light weight, the reps and pace of this routine will rock your world! To get the most out of this workout, set a timer to beep every minute. That way, if one of your long sets of weighted movements starts to go too long, you won't lose your rhythm. You have exactly 20 minutes. Now go! 3 sets of 1 min. 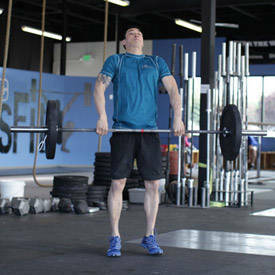 When short on time, Wittrock is fast to turn to Tabata training to give his workouts a boost. "Tabata is a type of interval training where you perform a high-intensity exercise for 20 seconds, followed by 10 seconds of rest, for 8 rounds," he explains. 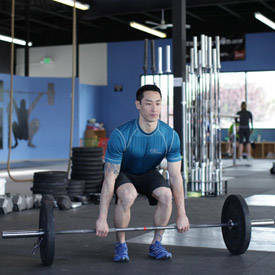 "This works great on the Airdyne or other cycles, but you can also do it with bodyweight movements. The intensity will catch up with you quickly!" 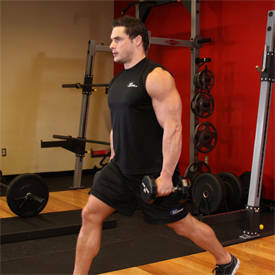 To do this workout, complete all five exercise pairings four times apiece, forming a 20-minute total workout session. For each round, alternate between the exercises, doing 20 seconds on, 10 seconds off. 4 rounds of 20 sec., rest 10 sec. Another way to really boost the intensity of a quick workout session is to use timed sets instead of counting reps. For this session, you'll simply want to focus on performing as many reps as you can during each minute. Track how many reps you've done (as best you can, anyway) then try to beat that during your next session. Rest as needed so that you can maintain proper form. If that means you have to stop, do so, but pick right back up again as soon as possible afterward. 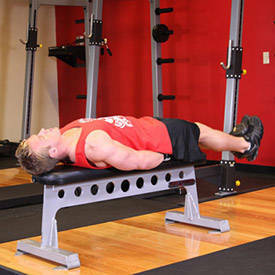 Rest for one minute.between each tri-set. One common mistake people make when doing brief, high-intensity workouts like these is treating them like they don't deserve the same nutritional attention as, say, a brutal 90-minute leg session. After all, something this short is just cardio, right? Wrong! To get the most out of all four of these routines, do what you'd do with any strength routine: Sip your BCAAs before or during the hard work, and drink a whey protein shake, afterward along with any special ingredients of your choice. Parker likes extra glutamine in hers, while Wittrock tosses in more BCAAs and electrolytes. Long or short, heavy or light, your body will feel the intensity, so help it recover. Then push it to the limit again to continue to see results!